Our investigators make significant contributions to improving the health and health care of girls and women in British Columbia and around the world through knowledge generation. The Women’s Health Research Institute is one of only a few research institutes worldwide (and one of only two in Canada) to focus exclusively on women’s health. 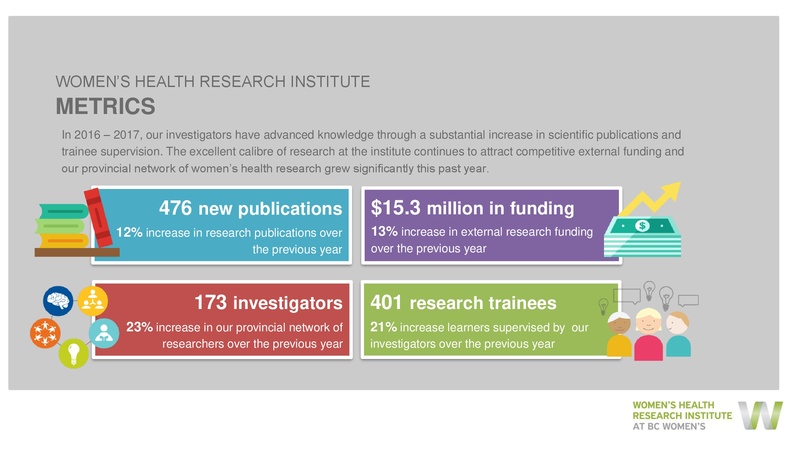 We aim to underscore the importance of advancing research that examines the unique health needs of women throughout the lifespan and spotlight the world-class research that is currently being conducted in the province.